Thank you for your interest in BabyBeats™ early intervention resource! We are excited to share this resource with you! Please complete the required fields on the registration form below and click submit. If any fields are not relevant, please select N/A. If eligible, your BabyBeats package will be posted to the address you provide on the registration form below. Thank you for registering your copy of BabyBeats™ Early Intervention Pack. In order to process your order, you will receive an email from Advanced Bionics asking you to confirm your communication preferences. Your response will be necessary to ensure that you receive BabyBeats. Your BabyBeats package will be mailed to the address you provide on the registration form. What type of hearing loss does your child have? What level of hearing loss does your child have? Please uncheck this box if you would prefer not to be contacted with news, updates, and special offers. If your request needs immediate attention or you have additional questions, please contact Info.Australia@AdvancedBionics.com. Children should begin developing communication skills during the very first year of their lives. 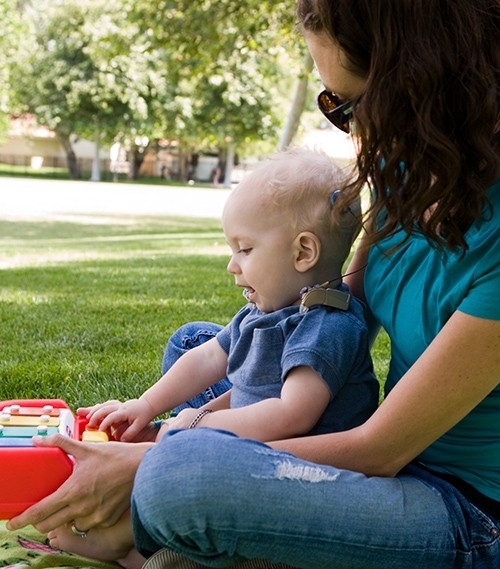 For families with children experiencing hearing loss, BabyBeats from Advanced Bionics is a motivating, fun program to foster listening and communication development in natural settings, both before and after using hearing aids or receiving cochlear implants.